Please go to the Garden Hotel on the Maoming South Road to meet your tour guide. The hotel is only 500 meters away from the exit 3 of the South Shaanxi Road subway stop. Take your helmet, hop on your bike and you will discover a changing Shanghai through your 20 kms cycling in 3 hours. First ride to People&apos;s Square, the biggest city square in Shanghai and the location of many significant buildings like Shanghai Museum and various Government Buildings. Pass some of busiest streets and malls in Shanghai while you bike through Nanjing Road. Then head ahead to the Old French Concession, a section with a romantic ambience left by the French who built and occupied the area during the colonial period. 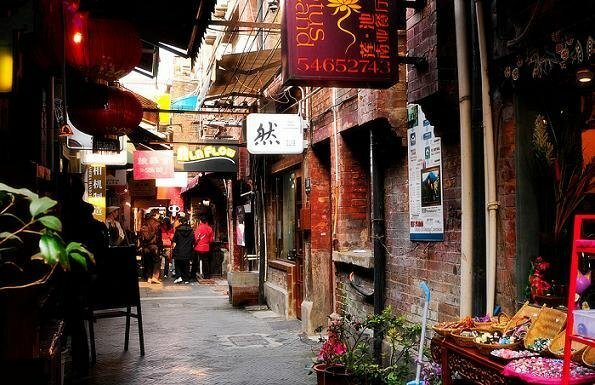 Tianzifang is full of cafes and interesting shops in traditional Shanghai alleys. Next explore Xintiandi, which has many fashionable shops and entertainment area in old Shikumen style buildings. Later move on to Shanghai Old Street to ride through the old streets with centuries of character. Before going back to your hotel, you will cycle around the wide and broad Binjiang Avenue in the Pudong District to experience the modern Shanghai cityscape.